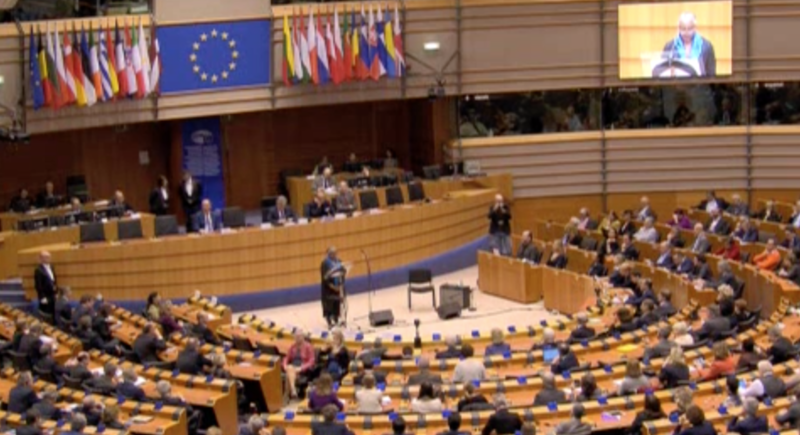 On the 60th anniversary of the Treaty of Rome, Barbara Hendricks, singer and Honorary Ambassador for life of the United Nations High Commission for Refugees, makes a moving appeal for unity and mobilization for the promotion and defence of human rights before the European Parliament. A strong and direct speech which remind each of us of our duty to act as “members of the family of Humanity” in order to face the humanitarian crisis we are currently experiencing and questions European citizens about the fraternal future we must build. Not only for our children but for all of the children of the world. A speech that allows to “vibrate with the same string” which last words are a tribute to refugee children, combining the worlds of a Somali refugee with the lyrics of Ella Fitzgerald (Summertime) and Motherless child composed in the United States before the abolition of slavery. The entire speech is available here (Minute 06:00). This entry was posted in non classé on 28 March 2017 by Alternatives Humanitaires.